Why Isn’t My HVAC Working? Whether it’s a malfunctioning central air conditioner or a furnace that just doesn’t seem to be doing its job, a broken down heater or air conditioner is cause for alarm in anyone’s book. A faulty unit could mean a costly repair—and of course, all those uncomfortable hours waiting for it to be fixed! Of course, heating and cooling failures can be deceptive. Many times, the issue is a lot less extreme than it may seem on the surface. Clogged filters, dead thermostat batteries, and other easy-to-fix problems cause all kinds of heating and cooling hijinks. 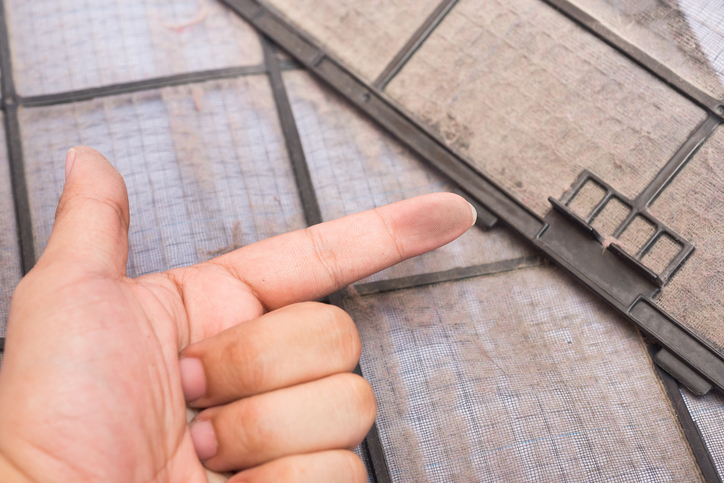 The good news, though, is that these are the kinds of repairs you can make yourself to save some money—and get your AC back in working order fast! Here are the most common DIY-worthy situations. When your central air conditioning unit goes haywire, the first thing you should always do is change the filter. Clogged filters prevent airflow, which means cooled air can’t reach your vents, either. Your best bet is to turn off your unit and replace the filter with a brand-new clean one. Then turn the AC back on and give it about an hour or two to cool off. Similarly, heaters also rely on filters to trap fine particles—and a clogged one will restrict air flow through the vents. 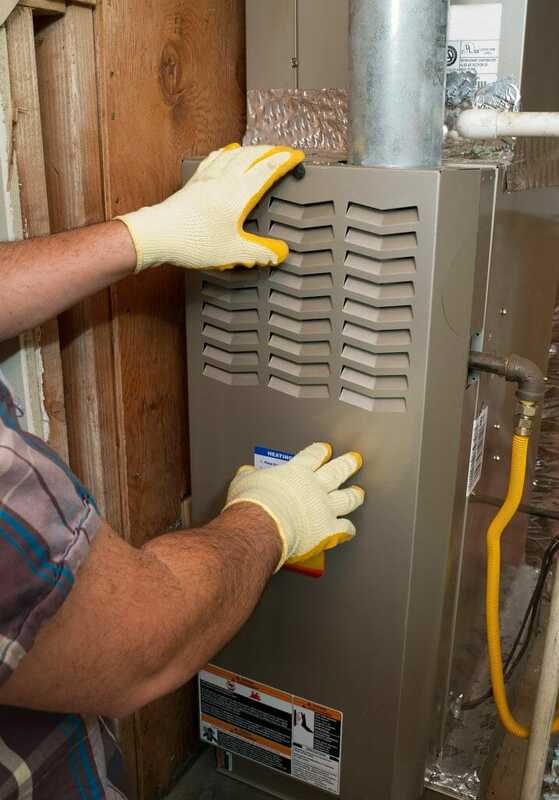 Dirty filters also cause your heating equipment to work harder, which drives up energy costs. And that means more wear and tear for your unit, as well as a shortened lifespan. Change the filter every month and you’ll see an instant boost in your heating and cooling performance! If your heating or cooling isn’t working, the root of the problem may lie in your home thermostat. Usually this manifests as a dead or malfunctioning display screen. There’s a quick way to check. First—and this sounds obvious, we know—but you’ll want to do a quick idiot check and ensure that you actually have the thermostat set to the appropriate settings. Hey, it happens! Next, try replacing the batteries. Unscrew the front plate. Inside you’ll see the battery housing. Check that there’s no dust or debris clogging the interior. Now make sure there are no loose or broken wires or electrical connections where the thermostat meets the wall. No luck? Now is probably a good time to call an expert who can give your unit a closer inspection. Furnace on the fritz? Better check your pilot light! Older gas furnaces use this small flame to produce heat (newer models usually have an electronic ignition source, so this fix won’t work for them). A strong draft or gust can knock out the flame, meaning you’ll have to relight it to get the heat working again. Luckily, this isn’t hard to do. The first step is to locate the gas valve. Every furnace has this valve, which connects it to the gas line. Turn it off and wait for about five minutes, which is enough time for excess gas to dissipate. Use a fireplace lighter and hold it, lit, near the pilot. Now press the valve down for about 30 seconds. At this point, the gas should ignite, relighting the flame. If it doesn’t, or if the flame won’t stay lit, call a professional repairman. You’ve likely got a bigger repair on your hands. There are many other common causes of HVAC failure, but most of these are mechanical issues, which are best handled by the pros. Air conditioning and heating units are delicate, complicated pieces of machinery which are extremely difficult to diagnose and repair—even for seasoned professionals! For many homeowners, the best solution is to opt for a service package that includes a seasonal tune-up and inspection. Look for a plan that costs less than $300 a year, though; otherwise, it might not be worth your money. Technicians will typically check pressure levels, electrical connections and inspect the condition of your unit, along with cleaning the components. And that process alone can prevent a lot of headaches down the line. Too late for maintenance? Don’t worry. One of our reps can get you connected to a technician fast, so you can get back to enjoying your home. Here’s to houses that are comfortable and cozy—all year round!